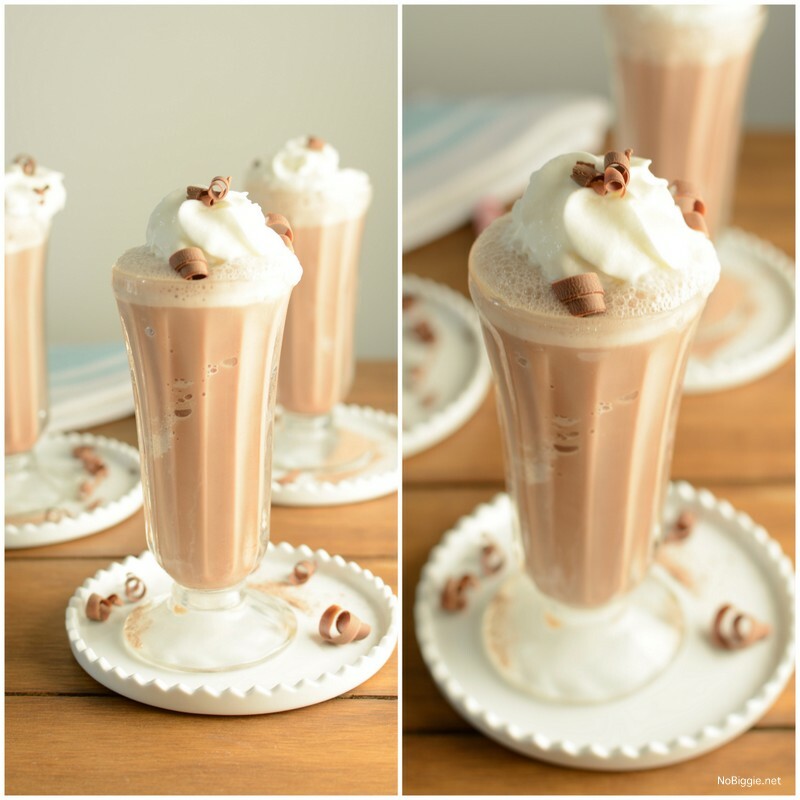 Frozen Hot Chocolate is the most decadent frozen drink when it’s hot out! All aboard the heat wave! 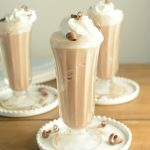 When it is heating up around here and it has us craving ice cold treats all the live long day, homemade frozen hot chocolate is just the ticket to escape the heat and enjoy a frosty cold treat. You’ve probably got all the ingredients at home right now…let’s get blending! Whether you’ve tried the famous NYC Serendipity Frozen Hot Chocolate, or the one at DQ…I think we all can agree the best one is the one in front of you! No need to load the kids all up in the car or fly to the Big Apple to enjoy this chocolaty treat when you’ve got a power blender at home! I’m a big fan of my Blendtec (it’s the best! ), and it whipped up this yummy treat in no time! 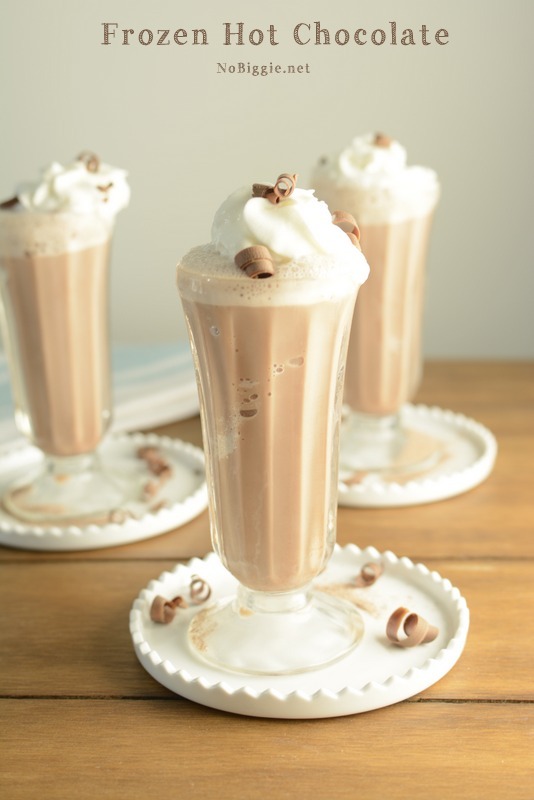 Blend together the milk, ice and powdered hot chocolate mix until well combined and frothy. Pour or spoon mixture into your serving dishes top with whipped cream and chocolate shavings. Serve immediately, and enjoy! Make it today! What’s your favorite frosty treat in the Summer?